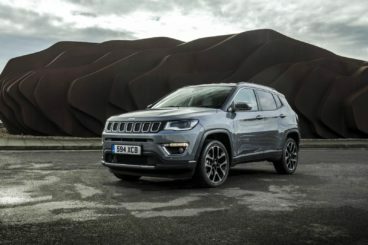 The new Jeep Compass SW is sandwiched between the smaller Renegade and the bigger Cherokee, and it should appeal to buyers who want a stylish off-roader that isn’t too intimidating to drive. What’s on its side is that it’s a Jeep. This is key because, while the Compass isn’t the best in its class, the fact that it’s a Jeep means it will still attract a lot of attention. Can it live up to its brand’s reputation? OSV takes a closer look at what it’s all about with our 2018 Jeep Compass SW review. The biggest problem that the Compass has is that it’s better off-road than it is on it. Ordinarily that wouldn’t be such a problem – after all, it is a Jeep. However, most buyers will spend much of their time on the road, and this is an area where it can’t keep up with its rivals. For one thing, it’s not as composed as we’d like, and this is a real shame because composure is one thing that many of its rivals do so well. Body lean is poorly controlled too, while ride quality isn’t the best. The suspension finds it hard to smooth out even the smallest of lumps and bumps. Off-road, the car is mighty impressive, however. If you’ll be spending most of your time on rock and gravel, the Jeep is definitely worth a test drive. In terms of its engines, there’s actually not a lot to choose from. Petrol buyers are restricted to a 1.4-litre engine that’s available with either 138 or 168bhp. The smallest of the two can get you from rest to 62mph in 9.9 seconds, while the latter is hardly much faster. Despite the surge in power, it covers the same sprint in 9.5 seconds. Hardly a quick car then, and the Compass isn’t much fun either. The only thing that can redeem it is its off-road prowess. We’ve reviewed the Diesel engines separately, but it’s worth pointing out that none of them is faster than the petrols. One of the best things about this Jeep is that, while it’s clearly not the most fun car on the planet, it’s very comfortable and quiet. As such, it makes an ideal choice for families who want to relax when it suits them, and who want to be able to tackle tougher territory when the time comes. Cabin quality is good but not class-leading, and Jeep haven’t shied away from using a fair amount of cheaper plastics here and there. The dashboard is so wide that the standard display screen looks tiny, but this really is a bit of an illusion. Go for the higher spec trims and you’ll benefit from a bigger 8.4″ touchscreen. Overall, the Compass’ cabin is similar to the Cherokee but it’s not quite as upmarket. It also comes with more physical buttons than many of its rivals do, and that will please some buyers but not all. What will also divide buyers is the conservative design. Jeep haven’t been very imaginative and the greys and blacks won’t be appreciated by all. Is the Jeep Compass SW practical? It’s bigger than the Renegade and this ultimately means that you get more headroom. Legroom is also decent but you could also look at this car as a Cherokee lite. Moreover, if you add the panoramic sunroof it will badly eat into rear headroom. Visibility is helped by a large glass area, while the boot measures 438-litres. That’s not too bad for a car in this class, and it comes with a flat loading floor. The biggest engine is unavailable with the entry-level trim, but it’s otherwise not too badly kitted out. Its list of standard equipment includes cruise control, air conditioning, LED rear lights and 16” alloys. The Longitude model adds bigger 17” alloys, sat-nav, a reverse camera, keyless entry, twin-zone climate control, front fog lights and an 8.4” touchscreen. Move up to the Luxury model and you get 18” alloys, front and rear parking sensors, automatic wipers, leather seats and a heated steering wheel. The Trailhawk model is a bit of an off-road warrior and it rounds things off with a Rock low-ratio mode for the transmission, tow hook and rugged suspension. Safety wise, it’s not until the Luxury model that blind spot warning is added, while only the Trailhawk model gets hill-descent control. Other than that, standard kit across the range includes lane departure warning and a forward collision warning system. Jeep claim there are at least 70 safety features altogether, some of which are optional. Meanwhile, Euro NCAP awarded it 5/5 for its crash test performance. In terms of its running costs, the 1.4-litre petrol engine can return as much as 45.6mpg on a good day if you go for the smaller 138bhp variant. It emits 143g/km of CO2. Opt for the 168bhp variant and four-wheel-drive and its extra power means you’ll be returning just 40.9mpg economy at best. Emissions, meanwhile, are pegged at 160g/km. Insurance-wise, nothing is official yet, but since the Renegade occupies groups 8 to 13 and the Cherokee occupies groups 26 to 35, we’d expect the Compass to occupy the middle ground. And while Jeeps used to depreciate badly, that’s no longer the case. Being larger than the Renegade means that leg and headroom is good. If you’re planning to spend a lot of time roughing it, this is a very affordable and capable off-roader. It’s certainly distinctive and stands out from the crowd. Weak handling really counts against it. Its biggest engine develops what’s a modest 168bhp. Let’s see how the car fares against its rivals in the comparison section of our 2018 Jeep Compass SW review. 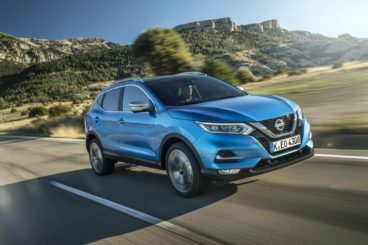 The new Nissan Qashqai is a very useful family car that looks better than ever. The Qashqai set lots of style precedents when it was first launched, and it sold by the bucketload. However, it was never the most fun to drive – but that’s all about to change. No, it’s not a class leader when it comes to entertainment but it handles better than you might expect such a big car to. Body lean is well resisted, and the steering feels sharper than last time. Stability through corners has also been improved, with each wheel now braking separately. Ride quality is better too, while a raised ride height means that visibility is excellent. Nissan have also added a ProPilot driver assistance package that works like adaptive cruise control. In terms of its engines, a 1.2-litre unit sits at the bottom of the petrol range. It develops a modest 113bhp and will be too underpowered for most buyers. The alternative petrol engine is a 1.6-litre DIG-T unit that has a 0-62 time of 8.9 seconds, and which works well on the motorway. Running costs? The smaller petrol engine is good for returns of 50.4mpg at best and emits 129g/km of CO2. This gives it a BiK rating of 24%. The bigger 1.6-litre DIG-T engine is the costliest in the range and manages 48.7mpg economy on a good day. It emits 134g/km and has a BiK rating of 25%. Inside, the Qashqai doesn’t look too different to last time, but there’s been a clear upgrade in quality. 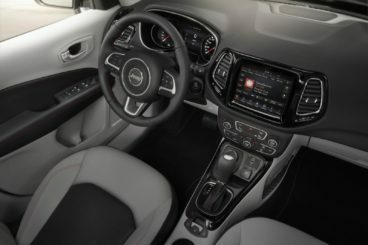 There have also been improvements – the steering wheel is less cluttered and the infotainment system is easier to use. Nissan have been unsparing with their use of soft-touch plastics too, while a height adjustable steering wheel makes it easy for the driver to get comfortable. Insulation is excellent. Is the Nissan Qashqai practical? It’s not much bigger than a Ford Focus but that’s not necessarily a bad thing. It will fit into your garage easily and it’s simple to park. Moreover, head and legroom is good for all except six-footers and storage solutions are good. The boot meanwhile, measures 430-litres and comes without a lip. It’s got a false floor and a tyre inflation kit comes as standard. 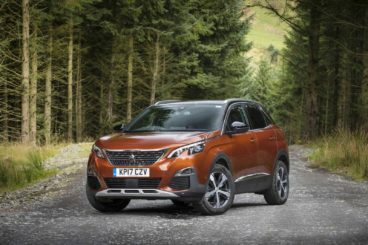 The new Peugeot 3008 is a car that impresses on so many fronts. The first front is its driving experience, which is excellent. It’s easy to drive, comfortable and even enjoyable at times. It’s also surprisingly engaging on winding country roads and will even be appreciated by enthusiasts. In the towns and cities, it’s simpler to drive than its size would suggest, and it feels right at home on the motorway, where it’s quiet and civilised. Sadly, four-wheel-drive isn’t available but you can specify a “Grip Control” setup. In terms of the engines, a turbocharged 1.6-litre petrol unit is available with 163bhp and is our top pick. It’s been seen in other Peugeot’s and takes just 8.9 seconds to cover the 0-62 dash. It’s paired up with an automatic transmission that’s nice and smooth. A smaller 1.2-litre petrol engine is also available. This too is a smooth operator but does need to be worked harder in order to move the bulky 3008 on a full load. It has a 0-62 time of 10.8 seconds. Running costs? Turbochargers help to keep costs down, and the 1.2-litre engine can manage returns of 55.4mpg on a good day. The 1.6-litre petrol meanwhile, is good for 48.7mpg while its emissions are pegged at 129g/km of CO2. Inside, the 3008 boasts a 5-star interior. Its design is next-level stuff and the brand have used numerous soft-touch plastics to really raise their own standards. The ergonomics are so much better than last time, with Peugeot replacing a small steering wheel with a bigger, more suitable one. Ride quality makes it one of the comfiest cars in this class, while all models come with a 12.3” digital display and an 8” infotainment touchscreen. Is the Peugeot 3008 practical? It can easily accommodate four people, although it’s technically among the smaller cars in this class. Those sat upfront have lots of space to stretch out, while those in the back don’t do too badly either. Wide opening doors make access easy, but anyone unlucky enough to be sitting in the middle will have to deal with an extended front centre console. The boot, meanwhile, is one of the biggest in this class and measures 520-litres. Fold the rear seats and you can extend it to as much as 1,580-litres. The new Compass has certainly come along way since the last time in the looks department. It’s less boxy and more stylish. It’s also practical and superb off-road. However, its biggest flaw is that it’s just not much fun on the road. Still, the Jeep Compass SW is a spacious, great-looking family car that continues to appeal.